Own a console? Odds are, it's an Xbox, says Microsoft Marketing Officer. 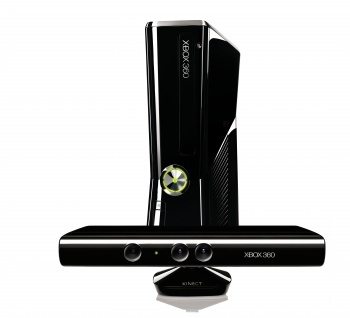 Yusuf Mehdi, Microsoft's Chief Marketing Officer, claims that Xbox 360 makes up 47% of the total console market, attributing that success to both the Kinect and Xbox LIVE. Xbox LIVE alone claims more than 40 million members, and Mehdi's figures put retail sales of the 360 since launch at more than $56 billion. "To date," said Mehdi, outlining plans for the future, "our success with Xbox has been led by a box in the living room...With Xbox on Windows 8 devices, we rapidly accelerate the reach of Xbox entertainment from more than 60 million people to hundreds of millions of people worldwide." That's a huge customer pool, and Microsoft wants as many of them as it can grab. Xbox holds a significant market share, but it's not all roses. Mehdi didn't choose to dwell on earlier financial statements, published back in April, that indicated Xbox revenues had dipped about 33%. There are also other legal problems that might impact on future Xbox sales within the US. At the time, Microsoft claimed that a significant portion of the Xbox loss was due to increased research and development costs, with no indication as to where that R&D dosh might be going. Given that E3 is upon us, it's possible we're about to find out where some, at least, of that money went.